The former FDIC chief thinks we still need to push back on big finance. In good financial times, few of us think about the Federal Deposit Insurance Corporation. It just sits there in Washington, D.C., quietly insuring our bank accounts and assuring Americans that our banks are sound. Then there are the bad financial times. 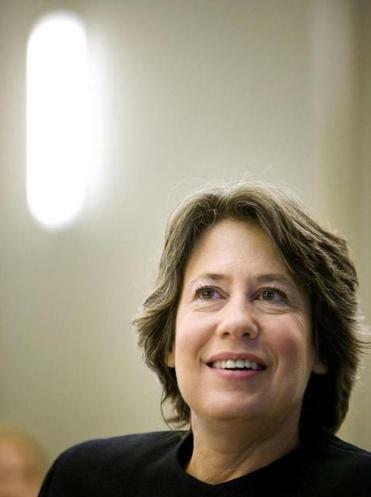 During the 2008 crisis, the FDIC and its then chair, Sheila Bair, took an uncharacteristic turn in the spotlight, taking over failed banks and sitting at the table as the government tried to craft a new regulatory approach to the nation’s financial industry. Though Bair describes herself as a Republican and was appointed by George W. Bush, her call to increase public counterweights to the power of finance seems to exist outside partisan politics. In October, she endorsed Massachusetts Democratic Senate candidate Elizabeth Warren. Bair spoke to Ideas in Camden, Maine, where she was preparing to speak at the recent PopTech conference. IDEAS: We’ve been watching the two presidential candidates make assertions about how they’re going to change the economy. To what extent can a president truly affect the economy? BAIR: I do think uncertainty about our fiscal situation, how it’s going to be dealt with short term and long term, is hindering the ability of business, especially small business, to commit new capital to growth. So however you come out on these issues, I think people really want to know what the short-term and long-term game plan is: What is the tax code going to look like, what is the health care system going to look like. We know we have unsustainable entitlement spending, and there are different ways to go about fixing that, but there’s just a lot of uncertainty created about that. My personal view is that the defense budget has a lot of fat where you could make some major decisions that would help bring the budget deficits under control....I think another reason that the country’s kind of hunkering down and battening down the hatches is that Washington itself has become so dysfunctional. I think it’s almost as important to make a decision and provide clarity about what we’re going to do as it is what the decision is. IDEAS: So part of it is just a sense of leadership and someone being in charge. BAIR: It is. And then getting the support they need in Congress, too. I’ve fought both sides on that. I’ve worked in the Senate, I’ve worked in Washington since 1981, when I went to work for [Bob] Dole, and I’ve never seen it this partisan. IDEAS: What are the most effective levers for both the candidates and Congress in terms of actually changing things? BAIR: Cleaning out the tax code—this idea has traction on both sides of the aisle. Maybe trying to put some cap, especially in the personal code, on how much of these special breaks you can use. I absolutely believe we should get rid of preferential treatment of capital gains. You could pick up about $90 billion a year in revenue doing that. There are no responsible economic studies that show that having a lower capital gains rate creates jobs. It just isn’t there. So it creates unfairness in the tax code that overwhelmingly benefits wealthy people....It sends all the wrong signals to young people. Go run a hedge fund, and you’ll pay a 15 percent tax rate, and if you go find a cure for cancer, you’re going to pay a 35 percent tax rate. IDEAS: You’ve been in academia as well as government. How much do you think academia is able to influence what’s going on in Washington? BAIR: Well, I think it can help. But what we saw in the lead-up to the crisis was that a lot of the academics were being influenced by the money. So instead of being a source of truth-telling and good analysis, they can be a source of confusion. Like I could probably give you any number of studies that said banks don’t need high capital levels, prior to the crisis. We had a lot of academics who were saying that...and other people who should know better....I think this is a larger problem of financial services getting too big. Too big as part of our economy, too big in their political influence, too big in their influence in the media, in the academic community. IDEAS: Given the forces arrayed behind finance, where do you think the counter-energy can come from? BAIR: Well, that was one of the reasons I went out and campaigned for Elizabeth [Warren]. I’m kind of a deficit hawk, so I agree with progressives on the financial reform issues and on other things I don’t....But at the end of the day, I have 100 percent confidence in her that she’s going to do what’s right. She’s not going to be influenced. And I think there are others. Susan Collins, to pick a home-state senator: One of the most important points in Dodd-Frank was the Collins amendment to improve bank capital requirements. And that was something that, ironically, [Treasury] Secretary [Timothy] Geithner had resisted....So there are people out there; we need more of them. IDEAS: In your book, you say you’d like to see tighter rules on the jobs people can take after serving as regulators in Washington. BAIR: Absolutely. I would have a lifetime ban on working for anyone you’ve regulated. A lot of people say, Oh, that’s terrible. But you know what? It’s a big financial services sector. First of all, you can be an academic, you can work for a policy institute. Or you can work in a different area of financial services. But to actually go work for a bank you regulated? No! My gosh, no! IDEAS: If you were going to advise a bright college kid who was interested in the economic system and wanted to improve things, where would you tell him to go work? BAIR: Well, there are good banks out there....Not all the banks were problems; some of them were solutions. I think for the most part, the regional banks, the mid-sized banks, managed well; there were a few of them that had trouble, too. And then the community banks, less than 5 percent of them failed, and they were actually doing a better job lending during the crisis. So, go to well-managed banks....But I think regulation and government is a noble career, and a noble path. And I think another thing we need to do post-crisis is to reestablish the equilibrium between regulators and the industry. In the go-go years leading up to the crisis, regulation really got a bad name. IDEAS: Do you think that part of it is that government in general is being demonized? How could we change that balance? BAIR: It is, it is. And regulators feed into it when they accommodate the industry with all these exceptions and rules, or when they go work for the industry after they leave....So trying to increase the status of the regulatory community, for examiners especially, I would pay them more, I would give them training...I would have exchange programs with other regulators, with foreign regulators. There are all sorts of ways you could make a career as a lifetime examiner, one that would be really interesting and meaningful and engaging for really smart people. But that should be their career. They shouldn’t become examiners just because they think they’re going to get triple their salary going to work for a bank later on. They just shouldn’t do it. And I think that would enhance their stature with the public, too, if the public saw those kinds of dedicated people.